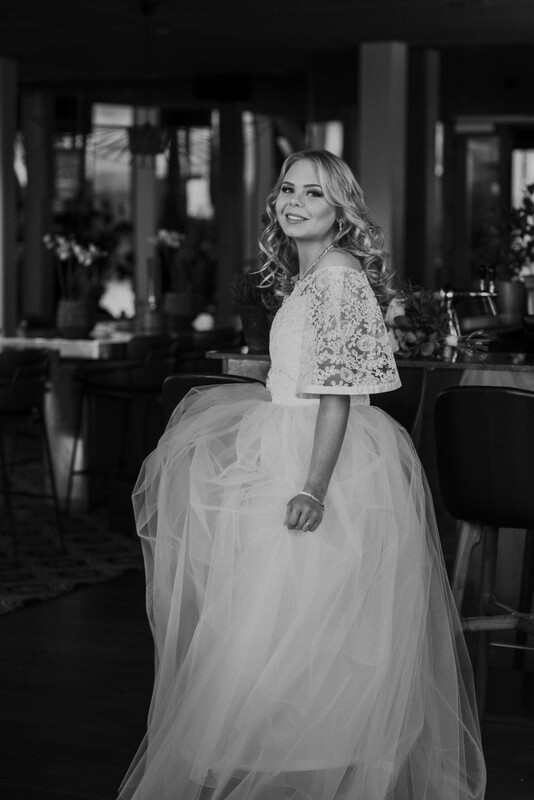 After a colorful Easter going in yellow and pink colors I this morning feel for something clean like these black&white pictures from our photoshute in January at Hotel Scandic Continental, Stockholm. 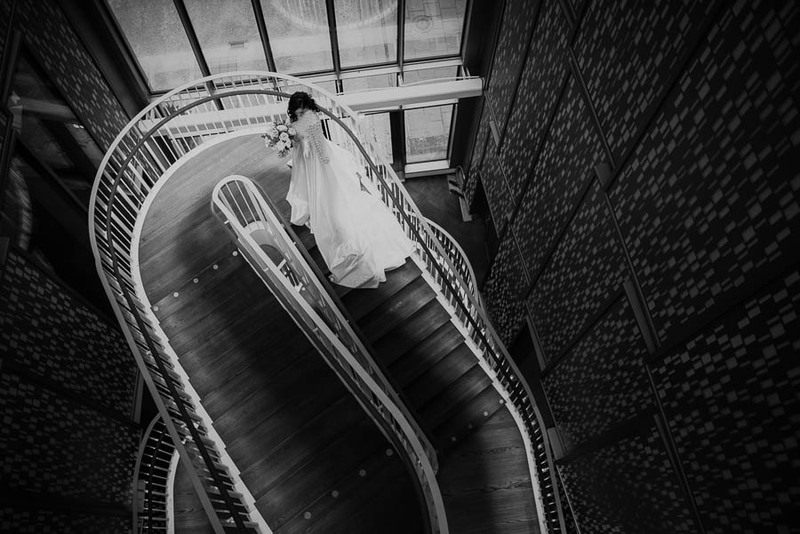 I really love the mix of bridal couture and architecture in this picture and the beautiful pix of Amanda as a young modern bride in my short bridal dress al in lace. Look at here veil that I have done myself putting peaces of lace on organza.